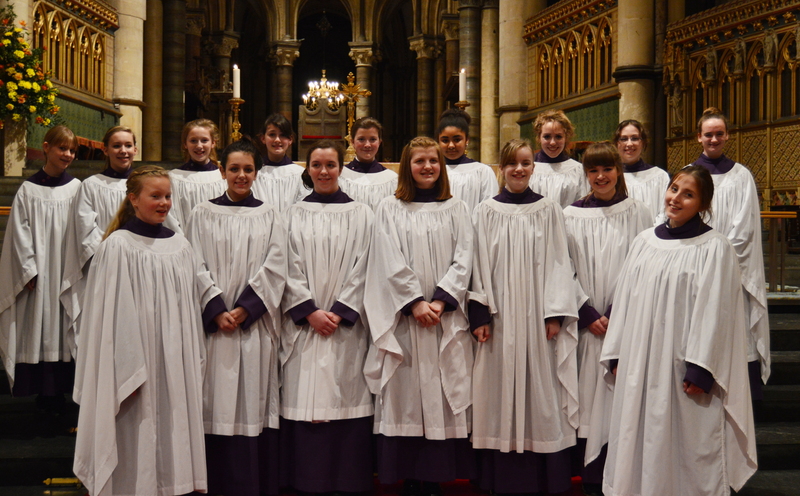 History was made on Saturday 25 January 2014 when the Canterbury Cathedral Girls’ Choir sang their first Evensong in the Cathedral’s Quire. 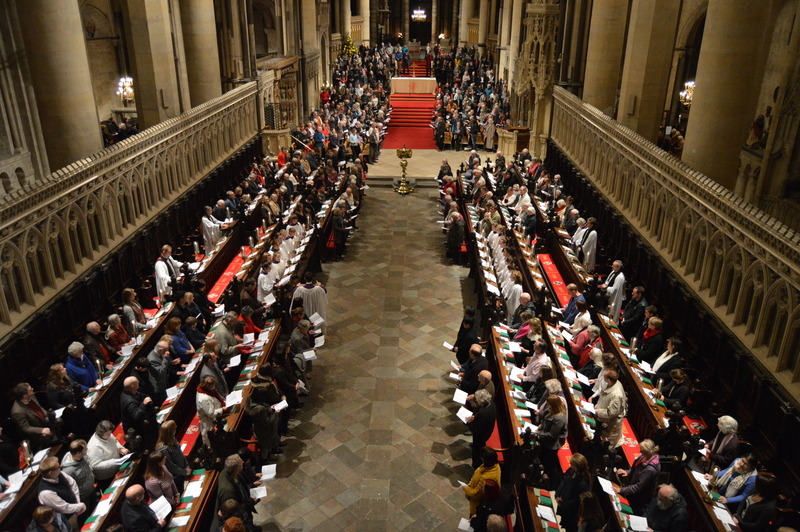 Over 600 people attended the evening service which included music by Ralph Vaughan Williams, George Dyson and Samuel Sebastian Wesley. 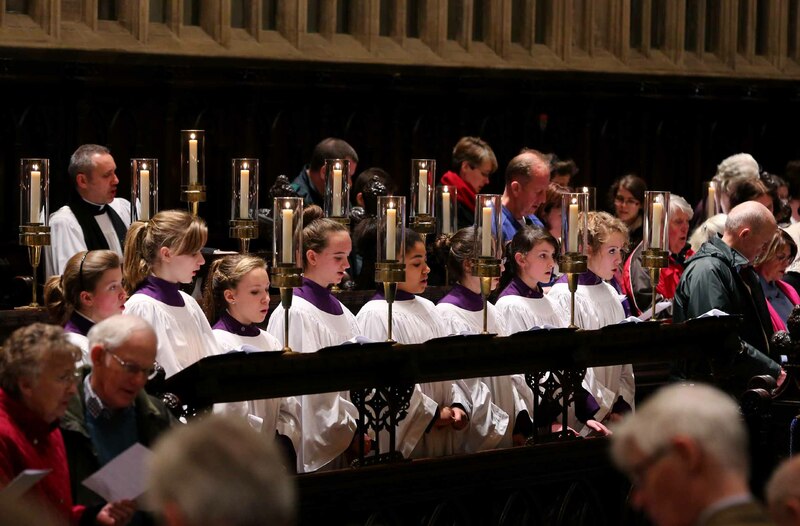 As the girls processed out from the Quire stalls, they received a standing ovation. 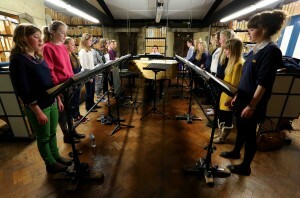 The sixteen girls who are aged between 12 and 16 attend eight different schools in the region. They met for the first time at the beginning of January 2014. The girls have had only three rehearsals so far, but they have made wonderful progress and are coming together as a team. 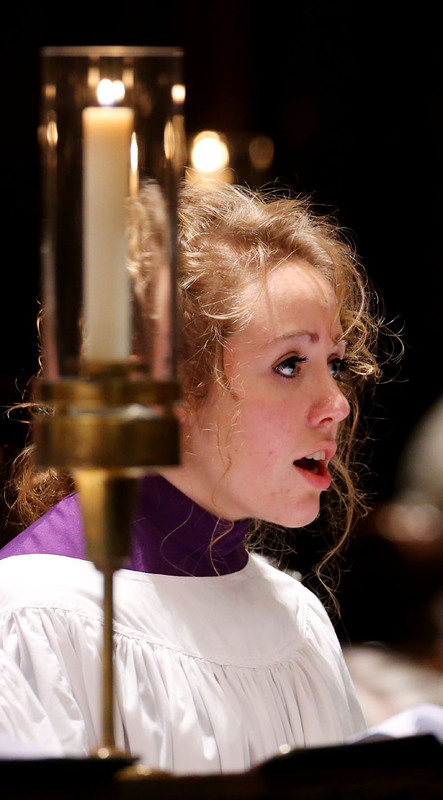 They will add a new dimension to worship in the Cathedral. 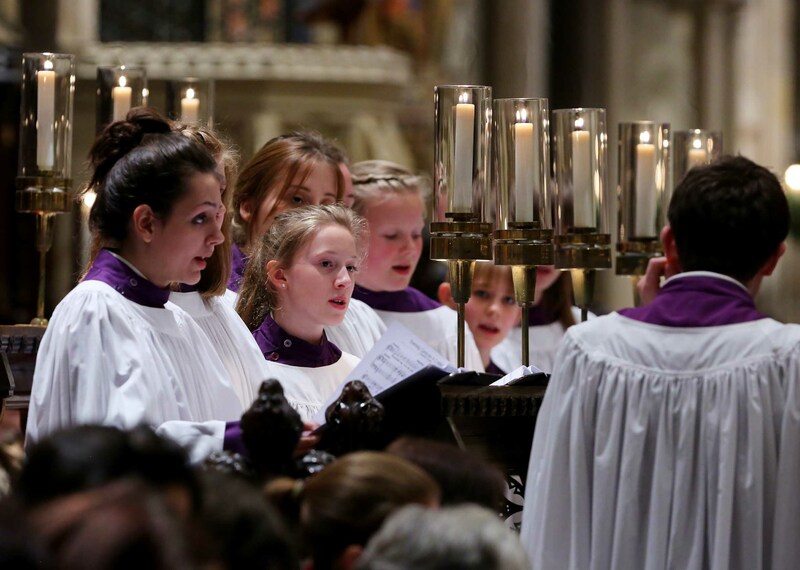 The Cathedral has a long tradition of choral music and some notable musicians have distinguished themselves here over the years, including Harry Christophers, Trevor Pinnock and Sir Mark Elder. 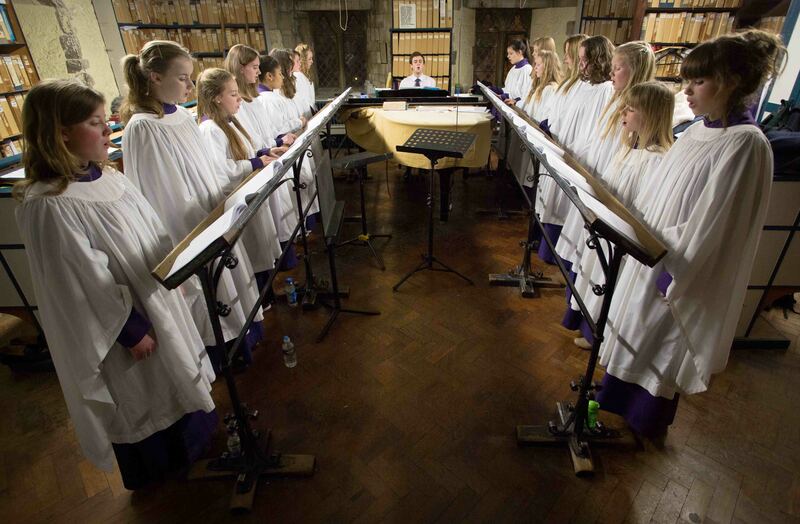 Being a chorister at the Cathedral has historically been an exclusively male preserve but the introduction of a girls’ choir is an exciting addition. 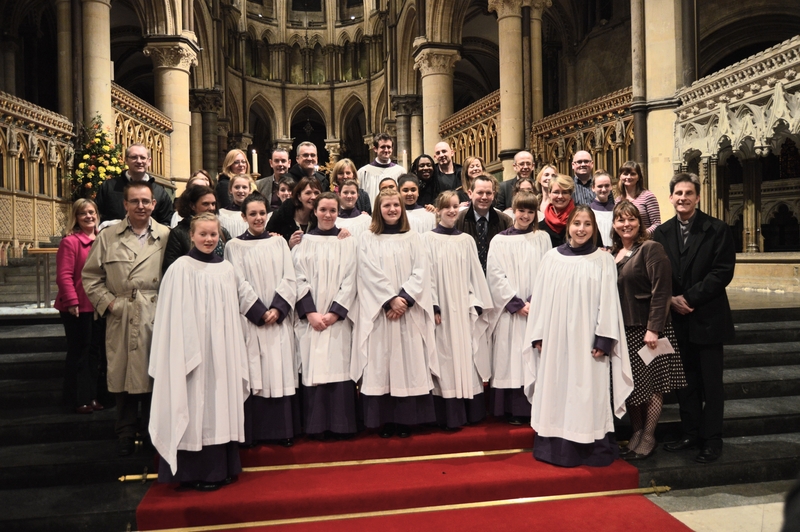 It is always good to create new ways of making music and this will be an exciting new chapter in the Cathedral’s story. 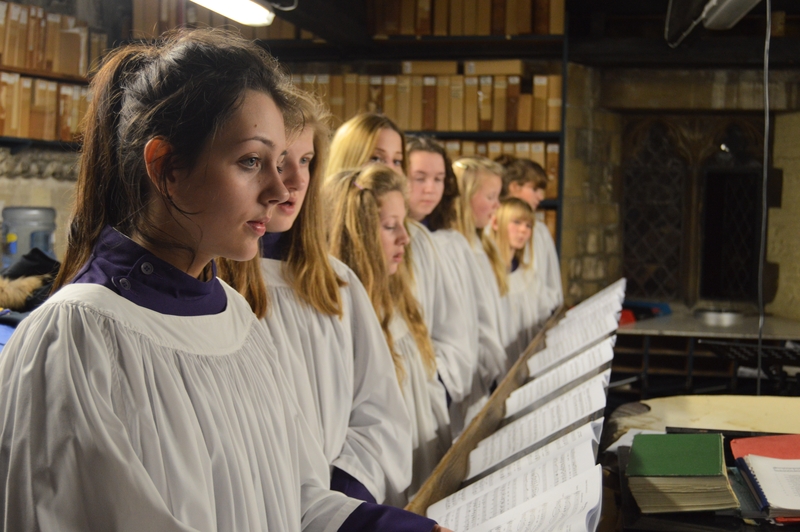 The girls’ choir will add to the Cathedral’s historic choral tradition but will exist as a separate entity to the boys. 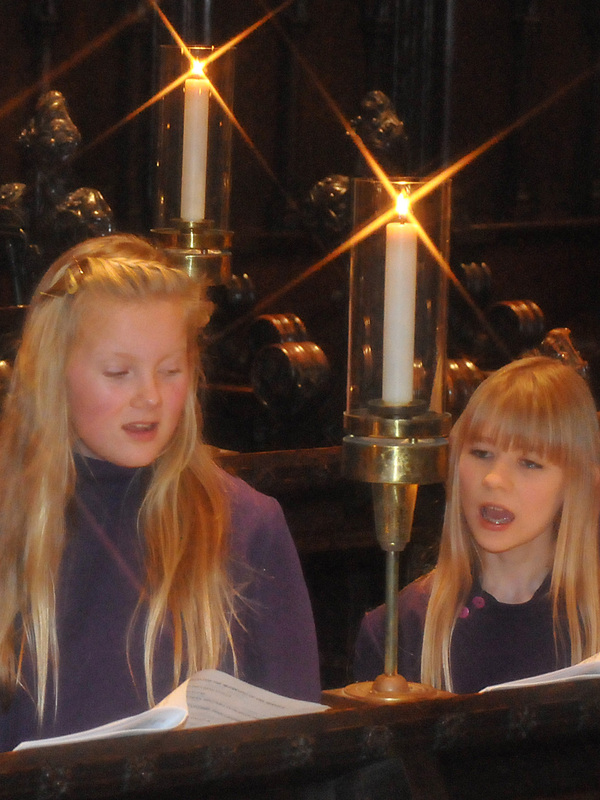 The girls will initially sing at services when the boy choristers are on their twice-termly breaks. 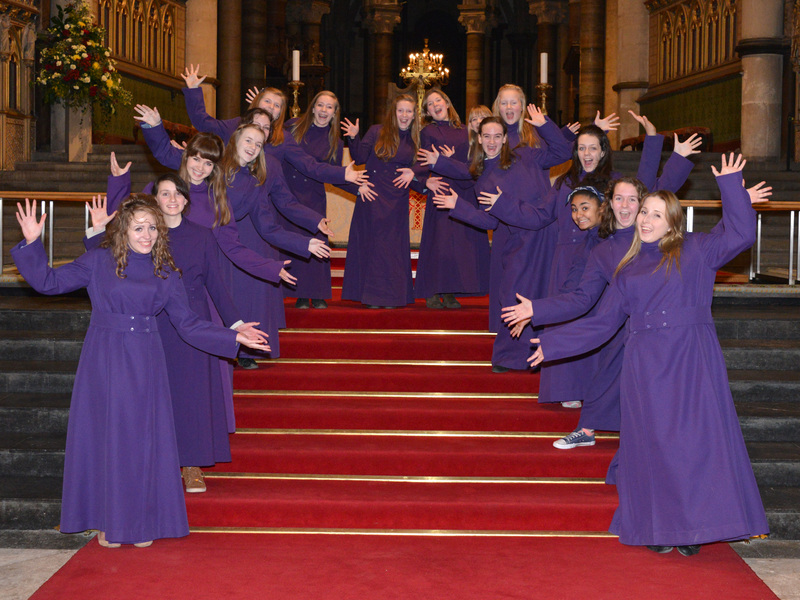 However, the girls who rehearse every Wednesday, are expected to be given further opportunities to sing at Cathedral services and elsewhere in the future. The boys’ choir and the older girls’ choir have a different timbre, but I have no doubt that, at some time in the future, they will sing together. 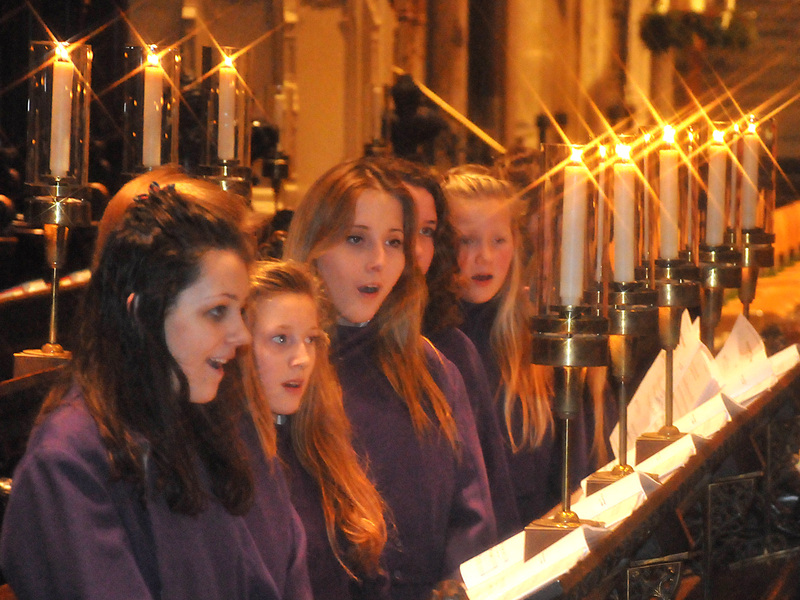 The girls have begun rehearsals for their next Evensong on Saturday 29 March 2014 and this will be followed by the Diocesan Service celebrating the 20th anniversary of Women’s Ministry on Saturday 10 May 2014. 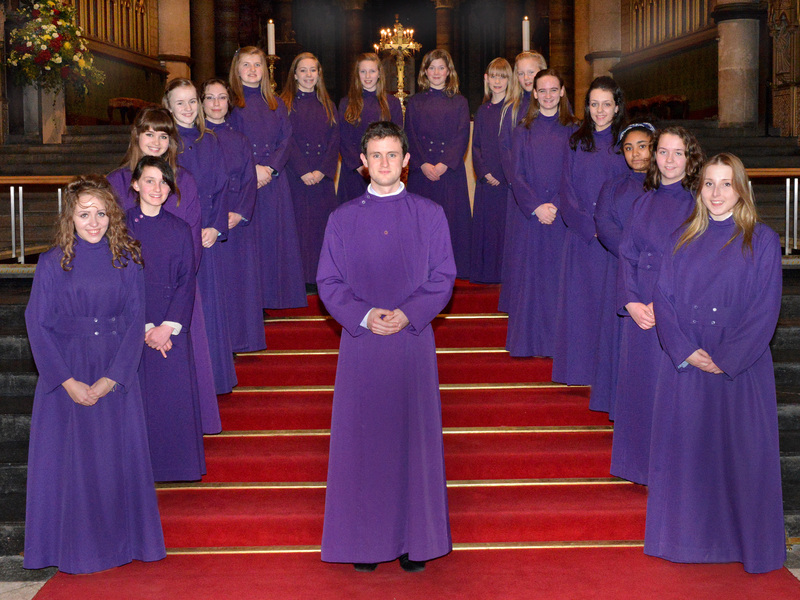 In this time we hope that the girls will be fitted for new cassocks and get to know their Cathedral with a tour and trip to the top of Bell Harry Tower. We look forward to keeping you up to date with their journey. We are very grateful to the Peter Cundill Foundation for their generous support. 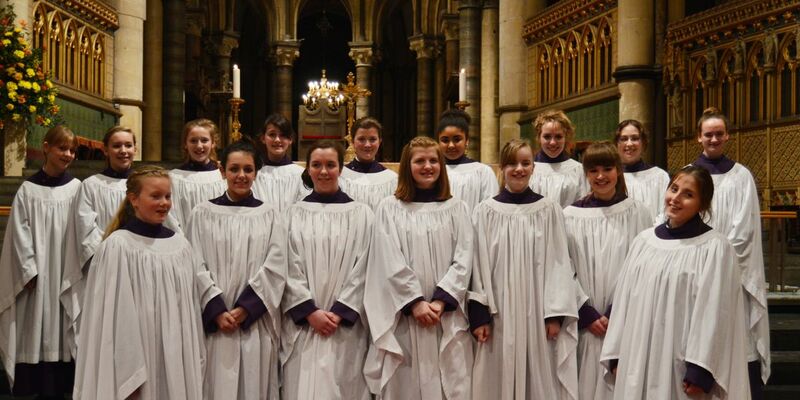 View the Girls’ Choir page for more information.